Celebrate the final weekend of Stockton Arts Week to an evening of rock at Channel Brew. We're bring a great night of music to you at Stockton's brewery, Channel Brewing Co.!! 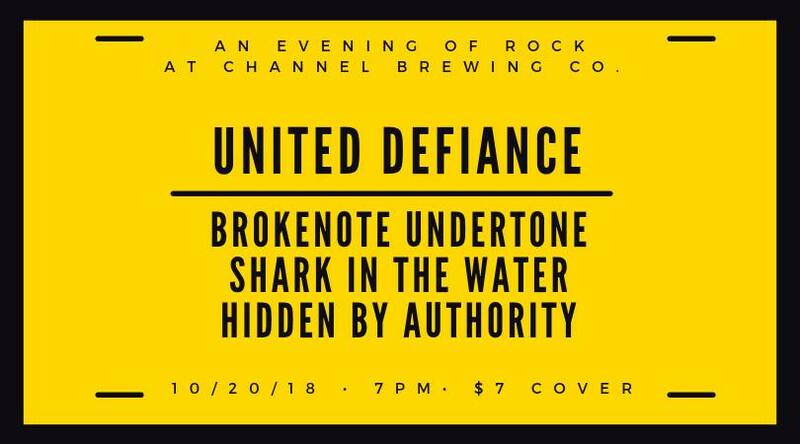 Local favorite, Brokenote Undertone joins bay area rock bands Shark In The Water, Hidden By Authority, and United Defiance! This is a stellar lineup, and if you're looking to get out on the town for some awesome rock music, check this show out!